Find a probe and take some flying lessons in this installment of From There to Here: The Star Trek 50th Anniversary Rewatch from Trek.fm. MOV 13 / Conclusion. Crash the Enterprise and reflect on the past year in this installment of From There to Here: The Star Trek 50th Anniversary Rewatch from Trek.fm. MOV 11 / 12. Reboot the timeline and detonate the fleet in this installment of From There to Here: The Star Trek 50th Anniversary Rewatch from Trek.fm. VOY 7x24 / MOV 10. Get home and meet your clone in this installment of From There to Here: The Star Trek 50th Anniversary Rewatch from Trek.fm. VOY 7x22 / 7x23. Find some Talaxians and jump through a window in this installment of From There to Here: The Star Trek 50th Anniversary Rewatch from Trek.fm. VOY 7x20 / 7x21. Find a probe and take some flying lessons in this installment of From There to Here: The Star Trek 50th Anniversary Rewatch from Trek.fm. VOY 7x18 / 7x19. Teach a child and write a holonovel in this installment of From There to Here: The Star Trek 50th Anniversary Rewatch from Trek.fm. VOY 7x16 / 7x17. Save your crew and learn to date in this installment of From There to Here: The Star Trek 50th Anniversary Rewatch from Trek.fm. VOY 7x14 / 7x15. Stick to your values and get a new job in this installment of From There to Here: The Star Trek 50th Anniversary Rewatch from Trek.fm. VOY 7x12 / 7x13. Discover remorse and save a race in this installment of From There to Here: The Star Trek 50th Anniversary Rewatch from Trek.fm. VOY 7x10 / 7x11. Walk through time and deal with your past in this installment of From There to Here: The Star Trek 50th Anniversary Rewatch from Trek.fm. VOY 7x8 / 7x9. Finally take command and hunt some holograms in this installment of From There to Here: The Star Trek 50th Anniversary Rewatch from Trek.fm. VOY 7x6 / 7x7. Meet a holographic Barclay and download yourself into Seven in this installment of From There to Here: The Star Trek 50th Anniversary Rewatch from Trek.fm. VOY 7x4 / 7x5. Watch a 3D movie and see the Doctor in this installment of From There to Here: The Star Trek 50th Anniversary Rewatch from Trek.fm. VOY 7x2 / 7x3. Say goodbye to the Borg kids and race the Delta Flyer in this installment of From There to Here: The Star Trek 50th Anniversary Rewatch from Trek.fm. VOY 6x26 / 7x1. Go to Borg Virtual Reality and face off with the Borg Queen in this installment of From There to Here: The Star Trek 50th Anniversary Rewatch from Trek.fm. VOY 6x24 / 6x25. Meet Doc Zimmerman and tell a ghost story in this installment of From There to Here: The Star Trek 50th Anniversary Rewatch from Trek.fm. VOY 6x22 / 6x23. Inspire an alien writer and welcome Kes back to Voyager in this installment of From There to Here: The Star Trek 50th Anniversary Rewatch from Trek.fm. VOY 6x20 / 6x21. 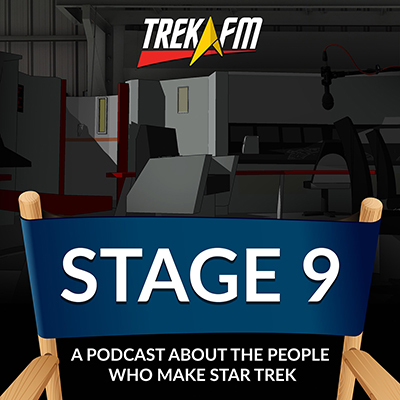 Go on your first away mission and pretend to be the Voyager crew in this installment of From There to Here: The Star Trek 50th Anniversary Rewatch from Trek.fm. VOY 6x18 / 6x19. Bring a dead crewmember back to life and use your kid to defeat the Borg in this installment of From There to Here: The Star Trek 50th Anniversary Rewatch from Trek.fm. VOY 6x16 / 6x17. Find some Borg kids and go back to Fair Haven in this installment of From There to Here: The Star Trek 50th Anniversary Rewatch from Trek.fm. VOY 6x14 / 6x15. Relive an alien war and fight The Rock in this installment of From There to Here: The Star Trek 50th Anniversary Rewatch from Trek.fm. VOY 6x12 / 6x13. Watch a civilization grow and pursue your musical career in this installment of From There to Here: The Star Trek 50th Anniversary Rewatch from Trek.fm. VOY 6x10 / 6x11. Become obsessed with Voyager and go to Fair Haven in this installment of From There to Here: The Star Trek 50th Anniversary Rewatch from Trek.fm. VOY 6x8 / 6x9. Find an old ship and uncover a conspiracy in this installment of From There to Here: The Star Trek 50th Anniversary Rewatch from Trek.fm. VOY 6x6 / 6x7. Solve a mystery with frosting and wake up an entire civilization in this installment of From There to Here: The Star Trek 50th Anniversary Rewatch from Trek.fm. VOY 6x4 / 6x5. Daydream that you are a hero and buy a haunted car in this installment of From There to Here: The Star Trek 50th Anniversary Rewatch from Trek.fm. VOY 6x2 / 6x3. Meet some old friends and come back from the dead in this installment of From There to Here: The Star Trek 50th Anniversary Rewatch from Trek.fm. VOY 5x25 / 6x1. Kill helpless aliens and become Captain Ahab in this installment of From There to Here: The Star Trek 50th Anniversary Rewatch from Trek.fm. VOY 5x23 / 5x24. 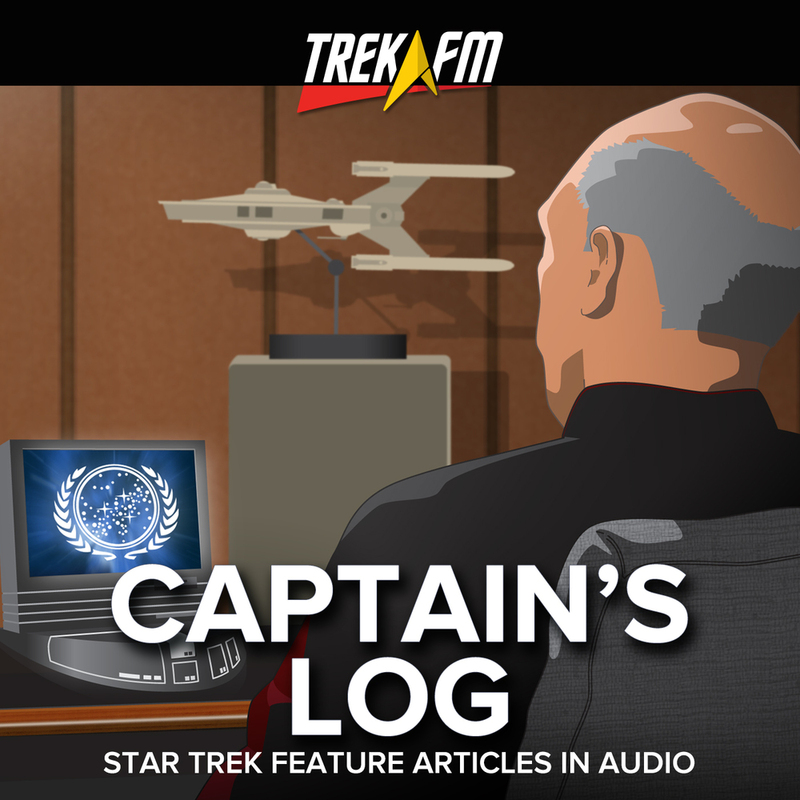 Travel through time and download a personality in this installment of From There to Here: The Star Trek 50th Anniversary Rewatch from Trek.fm. VOY 5x21 / 5x22. Go on a first date and look just like your ancestor in this installment of From There to Here: The Star Trek 50th Anniversary Rewatch from Trek.fm.